Pastor Kriengsak Wattanasirakul, was born in Chiang Mai, Thailand and raised in a Christian family. He accepted Jesus Christ as his Saviour while at university. In 1980 he graduated from Chiangmai University’s Faculty of Medicine. He and his wife, Sireenuch, have three children. 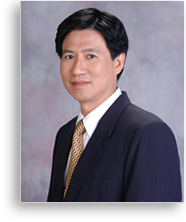 Dr. Kriengsak currently serves as pastor of the Acts Church of Chiang Mai. He also maintains a part-time pediatric medical practice to support his family and ministry. In addition to his pastoral responsibilities, Dr.Kriengsak serves the wider Body in Thailand as a board member of The Evangelical Fellowship of Thailand (North), chairman of the ‘Bless Thailand (Chiangmai)’ project, and as an advisor to various local ministries.